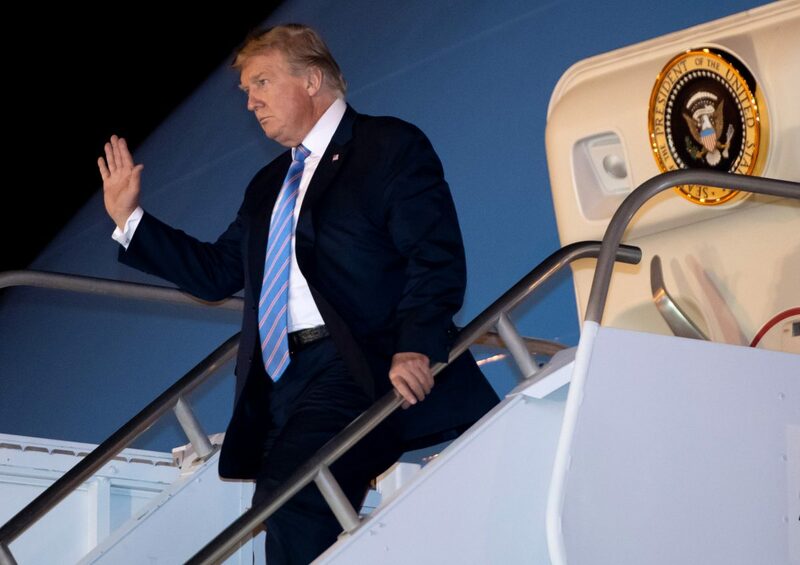 The White House said on April 7 that President Donald Trump’s tax returns will “never” be shown to Democratic lawmakers, a sharp rebuff to a renewed push for a peek into the commander in chief’s personal finances. 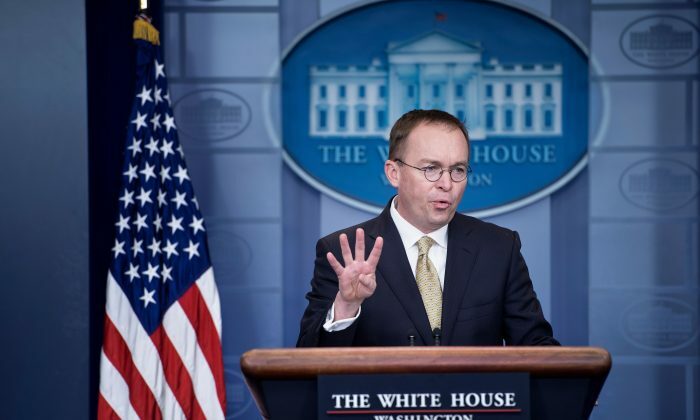 Acting White House Chief of Staff Mick Mulvaney told “Fox News Sunday” that the topic of Trump’s tax returns has drawn partisan anger from the Democrats, in response to a question about if the party will succeed in obtaining the sitting president’s finances. Mulvaney’s comments point to a shift on the White House’s official rhetoric on Trump’s tax returns and come just days after a House Democrat committee chairman demanded the IRS provide several years worth of Trump’s personal documents. Speaking to reporters at the White House on April 3, Trump didn’t entirely rule out the possibility of providing six years worth of his tax returns. The demand from the Democratic chairman to see Trump’s tax returns was the first such demand for a sitting president’s personal information in 45 years. The move would likely lead to a lengthy legal showdown with the White House. In the interview, Mulvaney also suggested that the Democrats’ newfound push stems from the results of special counsel Robert Mueller’s nearly two-year-long investigation, which found no evidence of collusion between the Trump campaign and Russia. Attorney General William Barr’s summary of the report also concluded that the special counsel didn’t provide enough evidence to substantiate that the president obstructed justice.